Keeping your billing information up-to-date in SalesBinder is a quick and easy process. We understand your billing information can change from time to time for many factors, so we’ve made this process very quick and easy. That’s it! 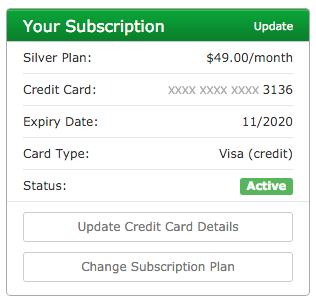 If your billing information was accepted it will use this new information from that point in time moving forward. Note: We encourage our users to be proactive with updating billing information on file to ensure their account’s remain active and fully accessible.